Gobblers. I just hate them. No, actually I don't. I'm just frustrated by Spring gobblers, especially here in Northeast Connecticut where the season starts the second week of May and the toms are already henned up. 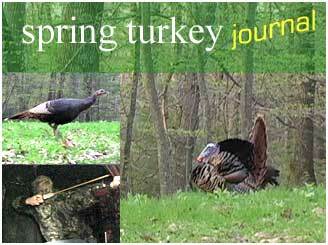 Such is the case with my latest three turkey hunts which we've journal'd here for you. 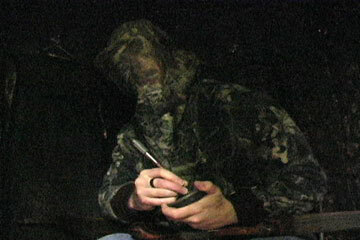 out in the dark, and set up my blind and decoys. 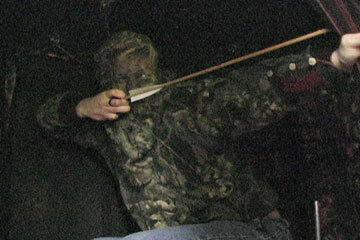 I try to bring my kids along on all of my bowhunting adventures in the spring (turkey and bowfishing) that way they feel part of the hunt - even if they're not with me if I get a shot. At first light, the gobblers were just screaming. 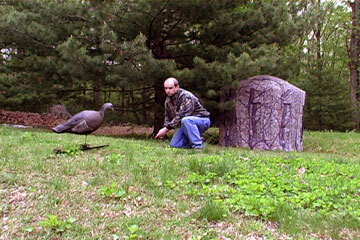 Now, one thing you should know is that spring turkey season has been my nemesis here in Ct. I've been successful many times here in the fall, and have shot spring Toms in other states, but not in Connecticut. So I was pretty excited when it was apparent that I had pulled off the setup so close to their roost. Around 5:30AM I heard the distinct sound of the birds flying down from the roost. The toms gobbled a little but seemed to move off away from the small field where I was set up. Time to call. The Toms were not coming in, so I called to the hens. The tactic worked. I started with a few yelps and got a response. But the Toms were henned up and reluctant to leave a sure bet. I then went into a more aggressive calling routine and the hens started to respond. After a few minutes they came in. I waited for a good shot in front of the blind. But the gobblers raced past the window faster than I could get set up. They walked behind the blind and stood guard over the hens - just ten feet away. I was afraid to move inside the blind - they were just too close! A half hour later the hens moved in back of the blind and the gobblers moved off and walked across my shooting window. 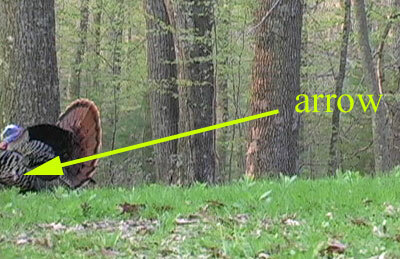 When the Gobbler walked into the shooting window, I drew my recurve. The first gobbler walked in front of the blind, some 25 yards away. A bit too far for me shooting my recurve. The second gobbler went into full strut and soon followed. He was about 20 yards away. As he moved across the window I drew my bow and waited for the Tom to walk in front of the window. As he did, I picked a spot on his wing but and shot. But my shot went low, just between his puffed out breast feathers and he flew off - gobbling at that moment. Click on the TV to watch the shot scene on video. Requires a Windows Media Player (download 4.2 mb). The bird was a bit further than I had figured, my shot went just low by a few inches. The Tom did not hang around for a second shot. I had located the gobblers back on roost - same spot - same setup. I got there a little later the next morning and when the gobblers flew down from roost, they headed in the opposite direction. I setup my "walking" decoy pulled by a string inside of my blind. On this hunt, the setup worked on the hens, but not the toms. But they were gobbling hard some 200 yards away. So I began my sequence of aggressive calling. They responded - but did not come in. As I continued my calling, I heard a put in the open window of my blind. A jake had snuck in and yelped at me just 5 yards away. He caught my movement and walked quickly away from the blind - an alarm put with virtually every step. Traveling kept me away from turkey hunting for a few days. It was good to be back. I had not found any gobblers on the roost but decided to see if something may come around anyway. To my surprise, the toms were roosting again in the same spots as last week. It was deja-vu all over again. The gobblers were henned up and aggressive calling brought the hens to me. One of them walked in front of the blind and looked at my decoy. The toms were in full strut just inside the woods. Despite the fact that both hens were feeding in front of me, the toms would not venture out into the field. I guess they smartened up after last week. Eventually they moved off and away from the field. I came close all three days, but heck - that's turkey bowhunting.